Running Press Adult, 9780762431816, 432pp. New York Times bestselling author Malachy McCourt offers an authoritative and engrossing one-volume chronicle of Ireland from pre-Christian times to the present, told with Irish flair by the gifted storyteller. The pages are populated with figures from myth, history, and the present-from Saint Patrick to Oliver Cromwell, James Joyce, Samuel Beckett, and Charles Parnell to Sinead O'Connor and Bono. Some beloved, some controversial-each influenced the course of Irish and world history. 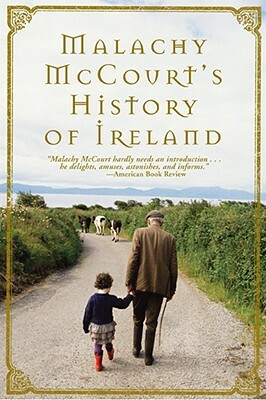 While McCourt vividly describes Ireland's turbulent history, he also offers a cultural survey with fresh insights to the folklore, literature, art, music, and cuisine of Ireland, producing an irresistible tour through the Emerald Isle. County Limerick native Malachy McCourt is the authority to tell the history of Ireland. He has written several books, including the best-selling A Monk Swimming, Singing My Him Song, Danny Boy, Voices of Ireland, and The Claddagh Ring. Complementing his literary work, McCourt is also a skilled actor. He appeared in the television series Oz and in feature films such as The Bonfire of the Vanities. He lives in New York City.